With a distinguished track record in design research, teaching and practice, UAL is at the forefront of the fashion industry in the UK and Europe. Its Centre for Sustainable Fashion (CSF) is a global leader in the field. Parsons draws on expertise in innovative approaches to fashion design to develop new approaches and systems. KDS has a special interest in the role of textiles used in garments and the connection between social and ecological innovation to novel intervention points in the supply chain. 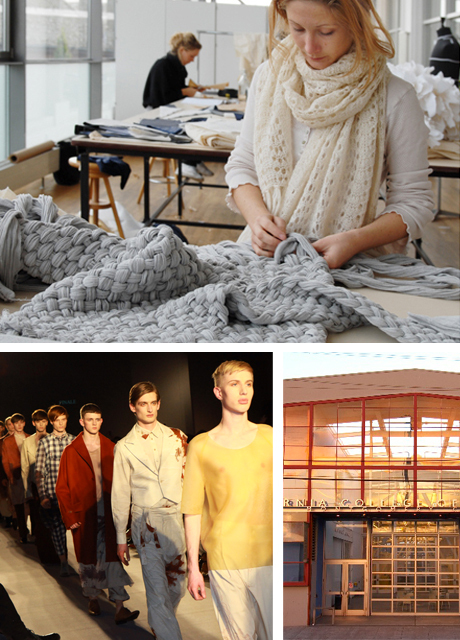 ECU is one of Canada's best-known art and design institutions specializing in sustainable design and the visual arts. Massey is known for its cross-disciplinary research in fashion and design and is a pioneer in zero waste pattern cutting. is a leading university in technology and design and brings a transdisciplinary research approach that considers both the technological and social dimensions of the work at hand.